Whether or not there were statutory violations, omissions, irregularities and malpractices in the conduct of the elections held on December 7 and 8, 2012, and if yes, whether or not these violations, omissions, irregularities and malpractices affected the outcome of the elections. On 17 April 2013, Dr Mahamamudu Bawumia- the 2012 NPP vice-presidential candidate, began his witness bid in evidence on his own behalf and that of his colleague petitioners- alluding that the immediate-past presidential election was shrouded in irregularities, statutory and constitutional violations and malpractices leading to illegal votes of some 3,924,844 votes collated and counted by the Electoral Commission in favour of candidate John Dramani Mahama. The renowned Statistician and Economist, who is also a former Deputy Governor of Bank of Ghana, is therefore, asking the Supreme of Court Ghana to annul what he describes as illegal votes, which if expunged from the declared result, would leave the then president-elect and now the sitting president, with 41.96% of the valid votes, while his main petitioner and NPP 2012 flagbearer- Nana Addo-Dankwa Akufo-Addo, settles on 56.65%. Responding to NPP lead counsel Philip Addison,vis-a-vis his thoughts about the December 2012 presidential election, Dr Bawumia, who argued that the Electoral Commission’s declaration of John Mahama as winner, could not be supported by the primary evidence, described the EC’s attitude as far as the December poll was concerned as follows: “My Lords, it looks like every irregularity, violation and malpractices is supposed to be an error except the declaration of the results... We found numerous malpractices and statutory violations and irregularities as evidenced in the primary record of the elections at the polling station called pink sheets.” Dr Mahmoud Bawumia who said he was the leader of a committee set up by Nana Addo to investigate alleged irregularities in the December 2012 elections asserted that having examined around 24,000 pinks sheets, it was discovered that there is a case of many irregularities, over voting, voting without verification, duplication of polling station serial numbers, and pink sheets without signatures of presiding officers. “Over-voting is in two forms. Over voting will arise if the total votes in the box exceeds the voters’ register at a particular polling station. Also, if the number of votes in the ballot box is far in excess of the number of voters you have given ballot papers to. This type of over-voting is what the EC Chairman was very clear on before the elections,” Dr Bawumia alleges. It is contended that the EC Chairman Dr Kwadwo Afari-Gyan had stated before the 2012 general elections that even if one vote was detected to have been in excess of the number of ballot papers issued, the results of the polling station would be annulled. Dr Bawumia and his colleagues are relying on polling stations such as Arabic Primary School in the Upper West Akyem constituency, as well as another polling station in the Tano North constituency. On Voting without Biometric Verification, the immediate-past NPP vice-presidential candidate indicated to the court that before the 2012 elections, the second respondent- the EC, promulgated a law which said all prospective voters had to be verified by the help of a biometric machine before voting. But closer examination revealed that some 535,723 people, allegedly, voted without observing the biometric verification process. Accordingly, the court must annul the number of votes affected by voting without biometric verification. Having said that, Justice Baffoe Bonnie- a panel member on the case, inquired from “Star Witness” Dr Bawumia- if he was suggesting to the Supreme Court to go ahead to annul the figures in all the affected polling stations merely because some people had voted without verification. Dr Mahmoud Bawumia said Yes- repeating the examples of polling stations where he alleges that the EC cancelled the entire results of the elections on grounds that some people had voted without going through biometric verification. “The EC cannot apply one set of rules to one polling station and a different set of rules to another polling station,” he mourned, stating that fairness and equity at all polling stations ought to have been evenly applied. Dr Bawumia sailed on to his Pink Sheets without Signatures of Presiding Officers category. He contended that pink sheets containing records of voting at some 1039 polling stations and here, with some 705, 305 total votes cast, in fact, did not have the signatures of the presiding officers. Dr Mahmoud Bawumia’s position on this is that the absence of signatures of the presiding officers on the pink sheets is inconsistent with the laws set out by the EC before the 2012 general election. In the words of Dr Bawumia, the [almight] pink sheets, must have an exclusive serial number for each polling station, and that even though there must not be a situation where different polling stations share the same serial number, that was not the case in the 2012 elections. Dr Bawumia talks about ‘Ghost’ Polling Stations, where he alleges that there was evidence to show that voting took place at some 23 polling stations [now 22 stations] which were not among the traditional 26002 polling stations on the EC’s list. In cross-examination which attempts to drill holes into the petitioners’ statement of case and evidence, Mr Tony Lithur- counsel for John Dramani Mahama, objected to the said 23 polling stations, stating that in his affidavits, Dr Bawumia, did mention only 22 polling. For this reason, the NPP “Star Witness” could not be allowed to lead evidence in respect of 23 polling stations and must stick to 22. Counsels for the EC- Mr Quarshie Idun and the NDC- Mr Tsatsu Tsikata subscribed to the objection. Mr Tsikata for instance, asked the petitioners to present ‘better and further particulars’ for the 23 polling stations if they intended the same. Justice Gbadegbe, who is also on the panel, stated that the petitioners must stick to the 22 polling stations originally agreed to before the 16 April 2012 hearing. The NPP Lead Counsel Philip Addision, maintained that his clients had provided evidence for 23 polling stations but they would stick to lead evidence in respect of the 22 polling stations as directed by the court. One of the likely contentious categories that the back of Electoral Commissioner Dr Kwadwo Afari-Gyan would be hotly scratched by the petitioners’ counsels, is alleged faked foreign voters list. The declared presidential results had some 241,554 voters claimed to have registered abroad. Dr Bawumia had told the court that the EC had still not fully complied with furnishing the petitioners with particulars of this figure. It is on record that the EC has so far, managed to submit a list covering 705 voters, including, for example, the famous “New Yorker Twins”. Dr Bawumia seems to suggest that the EC’s foreign list is not “credible”. In the words of Dr Bawumia, when the petitioners, demanded the bio-data of the foreign voters from the EC, the data they received indicated “fake voter ID numbers” and a “mathematical formula” where same names had different numbers running through. He told the court that the number of registered voters in the voters register, as supplied by the EC kept on changing. Dr. Bawumia told the court from his witness box that they are in court because the declaration made by the second respondent- Electoral Commission in the 2012 elections, cannot be supported by the primary evidence he has gathered as the chairman of the committee tasked to investigate alleged irregularities in the 2012 elections. In the words of Dr Bawumia, the EC provided a total register of 14,301,680 of voters before the election. But on 9 December 2012 when the chairman of the EC declared the results of the election, he gave a figure of 14,158,890, a difference of 127,210 from the one they had earlier on provided. In his evidence-in-chief of 16 April 2012, Lead Counsel Philip Addison asked NPP “Star Witness” Dr Bawumia to share his thoughts about his findings on alleged over-voting- and here, whether it will have an effect on the results declared if they were to be annulled. Dr Bawumia told the court that if the Justices accepted his pleas then none of the two main contestants would have attained the mandatory 50+1 per cent of the total votes cast. By voting without verification, Dr Bawumia persistently alleges that over 535,723 people voted without bio-metric verification which he seems to suggest that is an affront to electoral laws in force and therefore, must be annulled. “Yes. The results will be greatly affected if the results of voting without verification were to be annulled,” Dr Bawumia had told the Court. But Lead Counsel for Mr John Dramani Mahama [the first respondent] is putting Dr Mahamoud Bawumia’s findings under strict examination and accusing him of deceiving court. Tony Lithur, who routinely named some 38 of the various polling stations named by the petitioners and which had the deficit of double exhibit, is accusing the “Star Witness” for deliberately producing duplicate copies of pink sheets and polling stations to deceive the court. This attracted the attention of one of the judges who hinted him that he had exceeded his "statute of limitation" and should begin to round up on his double exhibition of numbers for the same polling stations- suggesting presumably that Dr Bawumia desperately wants to make up the numbers needed to overturn the declared results that favoured his client. Dr Bawumia rebutted this allusion- suggesting that he did not intend to deceive the court and that even though the exhibit numbers were different for the same polling station as pointed out by Mr Lithur, figures for each polling station were only entered once in his analysis. 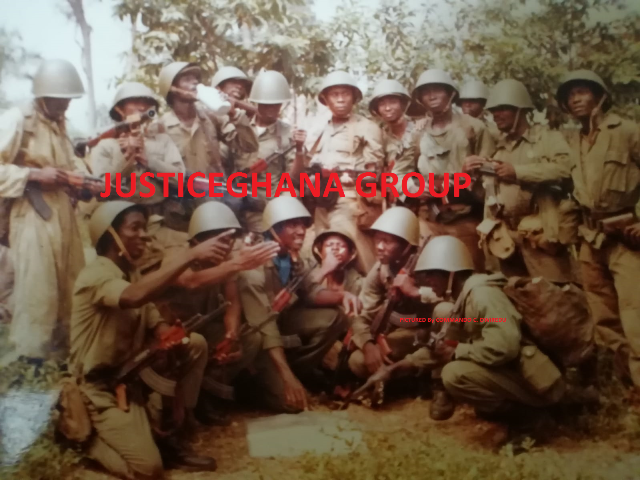 In the words of the NPP “Star Witness”, the different exhibit numbers came about as a consequence of manual recording and electronic recording. Dr Bawumia added that in the process of compiling the figures of irregularities of 11,138 polling stations they realised it was yeoman’s job doing it manually and with the limited time to meet the court’s deadline for their affidavits, they had no time but to switch to electronic system of recording, hence the generated different numbers for the same polling stations. Yet the figures for each polling station were only entered once in the analyses and not twice or thrice as Mr Lithur attempts to suggest. Dr Bawumia posits that due to some challenges and quality controls on the pink sheets, their only option is to screw the total number of polling stations from 11,800 to 11,138. It is conceded that the zeroing slightly affected the figures presented earlier to the court; Dr Mahamoud Bawumia was quick to add that it does not have enormous impact to erode the legal bases of their case and that Nana Akufo-Addo, would still have won anyway. This issue of amendments or updates of records attracted objections from the responding parties to such an extent that Counsel for the NDC- Tsatsu Tsikata, felt that the ethics of the bar, as Tsatsu seemed to suggest, were not being upheld by the petitioners vis-a-vis the court’s own rules on procedure for amendment petition. Philip Addison- the lead counsel for the petitioners appeared uncomfortable with this statement, stating that the petitioners were not amending their case but rather abandoning some of the figures they had early presented which should have been welcomed as their work is now being reduced. He accordingly, petitioned the Court to ask the NDC Lead Counsel to withdraw the statement but he persisted on his words. The Justices considered the objection in-camera and eventually, overruled on the matter- meaning, legally, the argument being advanced by the objectors, could not be sustained. Taking cognisance of a similar electoral petition hearing at the Supreme Court of Kenya, the Presiding Judge- William Atuguba (JSC) seemed to suggest that all eyes are on Ghana and accordingly, advised the opposing counsels to be circumspect in the conduct of their legal practice in the on-going hearing. At the time of going to the Press, the proceedings have been going on as scheduled but not without the routine legal hecklings and interjections which unfortunately, we have to embrace in the weeks or months ahead. As the opposing counsels try to sway the justices to their side by undermining suggestions or discrediting evidences or the reliability and honesty of their opponents, the question that remains is whether or not electoral violations: over-voting, irregularities and malpractices, did occur in the 2012 polls. The indications are mixed and unpredictable. But if Dr Bawumia’s on-going cross-examination has any relevance in this case, then JusticeGhana can safely predict that one of the trying times ahead for the Electoral Commissioner- Dr Kwadwo Afari-Gyan, as he mounts the witness box, could be in a larger measure, his ability to reconcile the balance sheet of the said 241,000 overseas votes which as it stands, had been the crux of the declaration of candidate John Dramani Mahama as president-elect in the December 2012 presidential polls?